Arun Jaitley also advised Congress President Rahul Gandhi that people who live in 'glass houses' do not 'throw stones' at others. 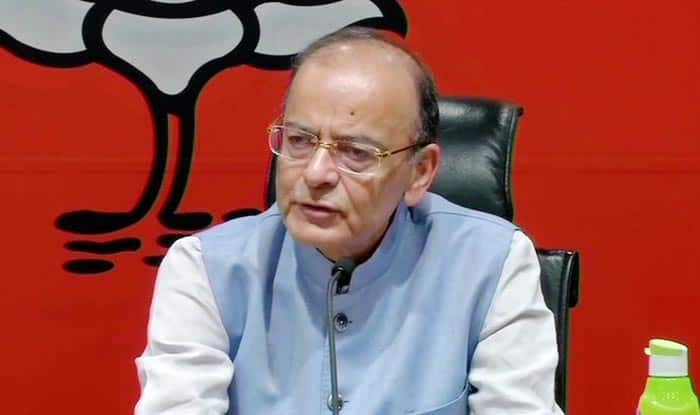 New Delhi: Launching a bitter attack on the Nehru-Gandhi family over their sources of income, Union Finance Minister Arun Jaitley on Wednesday told Congress President Rahul Gandhi not to “throw stones” at others when he himself is “living in a glass house”. “The late Rajiv Gandhi was an Indian Airlines pilot for a brief period and, thereafter, he was full time into politics. On the basis of the available information, neither Sonia Gandhi nor Rahul Gandhi have ever worked for a living,” Jaitley wrote in a blog. “For generations the family did not earn from any commercial ventures. They were in public service. Most people in public life sacrifice their commercial careers and lead a frugal life. Most members of the Nehru-Gandhi family studied outside the country for the last four generations. All have led more than a comfortable life. They enjoyed vacations at multiple domestic and international locations,” he added. He said that “tenancies” were created in favour of persons many of whom needed help when the UPA was in power and thus capital was created. This capital was invested with “a real estate company under cloud and which entered into a sweetheart deal”. “Amongst the names of the tenants, the critical person is Jignesh Shah of FTIL and the real estate developer is M/s. Unitech builder through Sanjay Chandra. Who else would enter into such a ‘sweetheart deals’ except the ‘fly-by-night’ operators who needed state patronage?” Jaitley said. The Minister pointed out that Jignesh Shah had two companies — one with large quantum of assets and the other which had “ostensibly duped” thousands of investors. Jaitley underlined that despite investors insisting that the Central government amalgamate the two companies, and the duped investors be paid out of the amalgamated assets, the UPA government did not take any action. It is only when the NDA government under Narendra Modi was formed that the Department of Company Affairs passed the amalgamation order which has been upheld by the Bombay High Court and is now pending a challenge in appeal before the Supreme Court, he said. He said that if the government succeeds, the duped investors will get their investments back. “You needed a ‘chowkidar’ to catch a ‘chor’. Capital creation through ‘sweetheart deals’ is exactly what Rahul’s brother-in-law did. Here is a man who makes reckless allegations without any basis. With tainted hands, he (Rahul Gandhi) must at least remember that people in glass houses do not throw stones. The ‘chowkidar’ has finally caught a ‘chor’,” Jaitley concluded.